Glitter shoes have been all the rage for the past couple of years! I adore shoes and I knew I wanted to give my own spin on this popular shoe trend! I took it too the next level with a fun set of zebra strips, because who can resist an animal print? I know I can't. Here's how you make this fun and sassy pair of kicks. Rip masking tape into pieces the width of the outside of your shoe. Try to have all the edges of your masking tape ripped to give a more natural-looking zebra stripe. Space them a centimeter or so apart from each other. Have a couple overlap and meet each other like a zebra pattern would look. Reference a picture off the internet if you are unsure about exact placement. 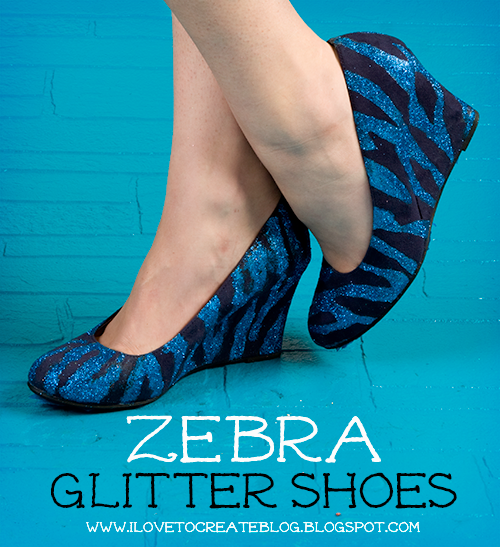 Once you've applied all your zebra stripes, take the Tulip Fashion Glitter Bond and dab in the open shoe areas. The tape will, of course, act as a resist, and create your stripe. 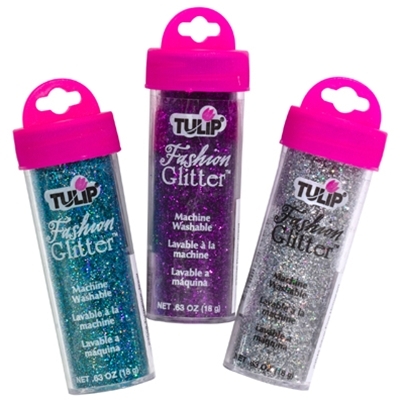 Now apply your Tulip Fashion Glitter generously where you applied the Tulip Fashion Glitter Bond. Make sure to apply even coverage all over your shoe. Let the Glitter Bond dry, then remove tape from shoe. Use a large bristle paintbrush to remove any unwanted glitter from your shoes! To further seal your glitter, spray on some Aleene's Spray-on Glitter sealer for protection from the elements. Now it's time to unleash your fiercest fashionista to the world in these cool heels! 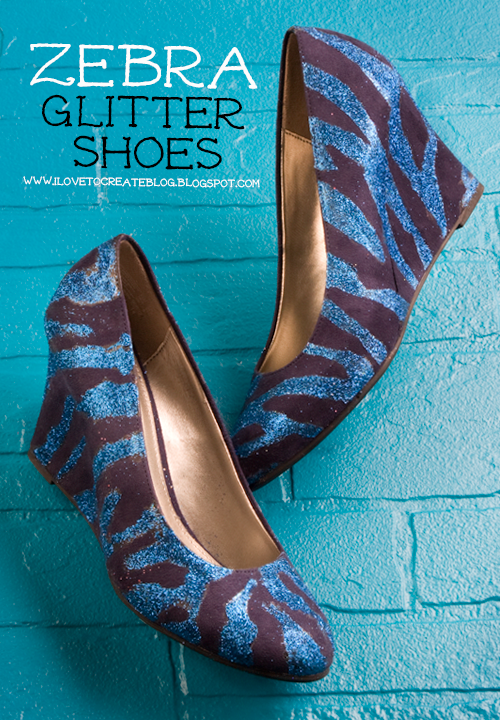 Watch me as I show you more fun glitter shoe looks in this video! wow! i love glitters. i want to try it..
With all of the glue and sealer, does it take away from the breathability of the shoes? I would have stinky sweaty feet by the end of the day, lol. Tho I have to say it would be worth it. Those shoes are too cha cha for words. I like this DIY project.